Guru Nanak, the founder of the Sikh faith and a great believer in devotion as the path of salvation, regarded himself as a poet immersed in the love of the almighty. He writes, “O God! My breath, flesh and soul, I belong to thee. I am deeply attached to thee. Nanak, the poet, says that thou art the sustainer of all life.” Guru Nanak was imbued with the divine love. Even when he was weighing wheat-flour in the provision-store, he was repeating “Tera Tera... (Lord, I am thine, I am thine)”. Once the Guru met a very learned brahmin at Varanasi who asked him to show the way to control mind and attune it to the supreme being, Guru Nanak used the metaphor of the Persian wheel for irrigation. “Make God your well, string his name for the chain of water-pots and yoke your mind as an ox to it. Irrigate with nectar and fill the pot therewith, thus you shall belong to the gardener.” His poetry was always addressed to the masses and their issues and it was not only spiritual, but a comment on the social and political conditions as well. His poetry could change an ordinary man into a spiritual person. 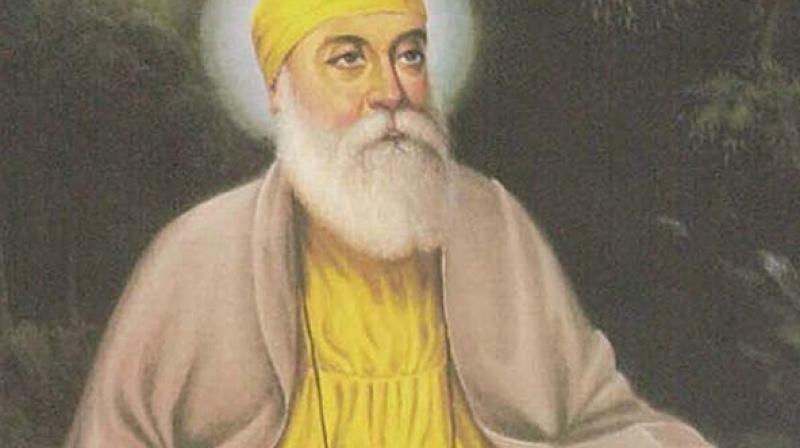 In his “Japji”, Guru Nanak asks the question, “How to be a man of truth and how to break the wall of falsehood?” He suggests a simple way — listening to the instructions of a guru or the Gurbani (suniai), acceptance of and conviction in the truth of the Guru’s world (maniai) and carrying out the Guru’s instructions in day-to-day life (nidhiasan). Guru Nanak was against ritualism and superstition. He said that pilgrimages, fasts and ascetic practices were of no avail. Only by constant remembrance of the divine name in the form of shabad, one can attain salvation. He reminded the people that each person had a divine touch. 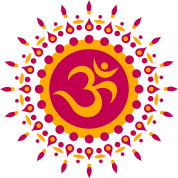 Man is a part of God and his goal is to merge his soul into the divine light. Guru Nanak compares the moulding of a seeker to the minting of a perfect coin of gold. The qualities of patience, prayer, divine knowledge, fear of God, austerity and love for the divine make him a true man of God. At the same time man is not only to work for personal welfare but for the welfare of the community as well — sarbat-da-bhalla — because the service of the society is the service of his manifestation, his creation.